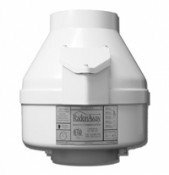 Thank you for your help in specifying the size and type of equipment to use in my radon mitigation system (see attached picture of the vented sump crock). 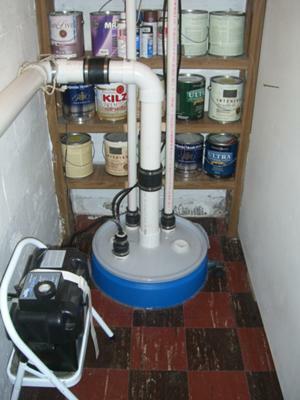 I used 3” vent pipe routed from the sump crock through an interior closet to the RP145 fan in the attic, and terminated through a roof penetration. 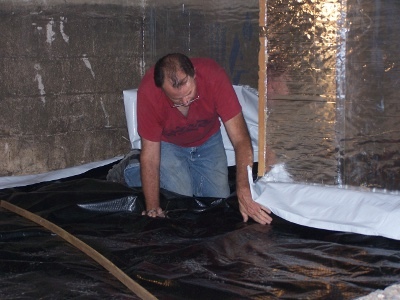 At the crock, I used the top of an open-head plastic drum siliconed to the floor to create an enclosure that could be opened easily if I needed to get access to the pumps, and the 2” sealed bung gives me a good inspection port. 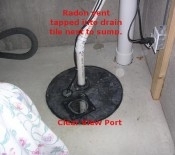 I finished installing the system 1/2/10 and re-tested for radon on 3/3/10 (2 months of the system running 24/7 with all doors/windows closed). The initial levels were already fairly low at only 8 pCi/L in the basement , so I was pleased to see the new levels at 0.8 pCi/L in the basement and 0.3 upstairs.